Moving to a new place can take a toll on you and your family. This means that you will be packing your things, moving them and then unpacking them in your new place. You will have to plan ahead and make sure that you will be bringing with you all the things you need. A lot of considerations will have to be taken into account, especially if you are on a tight budget. You will be deciding on whether you will be doing a self-move or enlisting the help of a moving company. When you decide to do the latter, you will have to research and plan so that you can choose the best moving company for local and long distance which suits your needs. You might also consider making a checklist so that you will not end up frustrated because you forgot to do something which turned out to be very important. Having a to-do-list can help your move become more efficient and systematized. A Chicago-based firm, Devon Moving Company, can help you make your move more organized and stress-free. Here are several helpful tipsto guide you before and after your move. Before moving, additional considerations will have to be made. Along with this, you will also need to determine your budget and find ways to economize while still getting the best value for your money. Some of helpful advices are mentioned in this article. Change of address through the U.S.P.S., and begin collecting moving materials like boxes, packing paper, markers, tape, etc. The key to a successful move is preparation. Plan ahead so you can have an easy, stress-free, and affordable move. If you are planning on downsizing and moving to a smaller place, say from a house to an apartment, you may be faced with several dilemmas. Which goes where? What are the things that you will bring and what will be left behind? This article outlines some tips to help you downsize your home in three to five steps. 1.De-clutter. 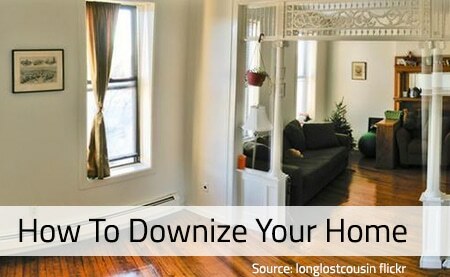 You need to begin downsizing your home by removing all the clutter and garbage that you may have inside. Throw away all obvious things like broken electronics, tools which are no longer working, old fashioned staff you’re never going to wear, the broken hose in the garden, etc. which hangs around long forgotten in the attic, garage and basement. In other words, everything that is in front of your eyes around the house and is a must-go anyway. 2.Attic, basement, garage, garden. The easiest way to continue downsizing is to go through the least used rooms and premises in your home. This could also be the guest room if you have one, for instance. In such places around the house it is easy to store things you don’t want or need in the moment and then forget about them. But they are still there and will not clean themselves up. 3.Clean up your car. If you have the habit of hoarding things, you may have been leaving things in your car as well. Remember to check the seats and the trunk. Make the downsizing uncompromising – this is what will make it efficient! How do you actually decide what is worth taking and why? These ideas will help you take a decision! Can you use it at all? There may be items in your home that are broken, torn, or worn out. In other words, they do not longer serve you. So, how about just tossing them away? You don’t need all that. When downsizing from a house to an apartment this is the easiest decision to take – throwing away what is actually useless. Is it old fashioned? If you really care about fashion then this is an important decision to make. Do you have items that are out of fashion like clothes, shoes and accessories? Be honest with yourself. If you haven’t used it for the last two years, chances are you may never do it again. Things that you don’t want in your home and those that are outdated could go away. Do you have space in your new home for you the things you want to move? Take measurements and consider well! Is it of emotional value to you? There are items that are dear to us which hold an emotional value like gifts from people we love and cherish. Those could be souvenir or practical things like clothes. Either way, if you really care about it and want it in your next home, pack it and take it. Do you really need it? There are some things that we actually need and some – that only fill in the space in the shelves, drawers and racks on our home, collect dust and nothing more. You don’t need to pay to move all that, especially if it is something bigger and/ or heavier! Do you have room for it? It is important to take measures of your future home and decide what will and what will not fit in it. Why would you pay to move your sofa if there is not enough space in the room for it? Make a floor plan of your next home in order to make the estimations right. What do you do with the things that are in a good condition and can be used but you have decided not to move? You can organize a moving sale and sell whatever you can. You can separate kids’ clothes and shoes, and toys, and donate them to an orphanage. You can just give away some things. Of course, if you still want to keep some things but will not have space for them in your new home, you can always use a storage unit. And remember to choose a mover carefully! Moving to new places can be stressful but it can also be exciting and hassle-free if you have enough knowledge about how to do it efficiently. An experienced moving company like Devon Moving Company can give you the logistical requirements that you need, helping you move with ease and comfort. Need Help With Packing? Think And Decide Who’ll Do The Best Job How Much Does it Cost for Moving?